I recommend spinning combos, or rod & reel sold together, because it saves a beginner from having bought the wrong rod for a given reel. 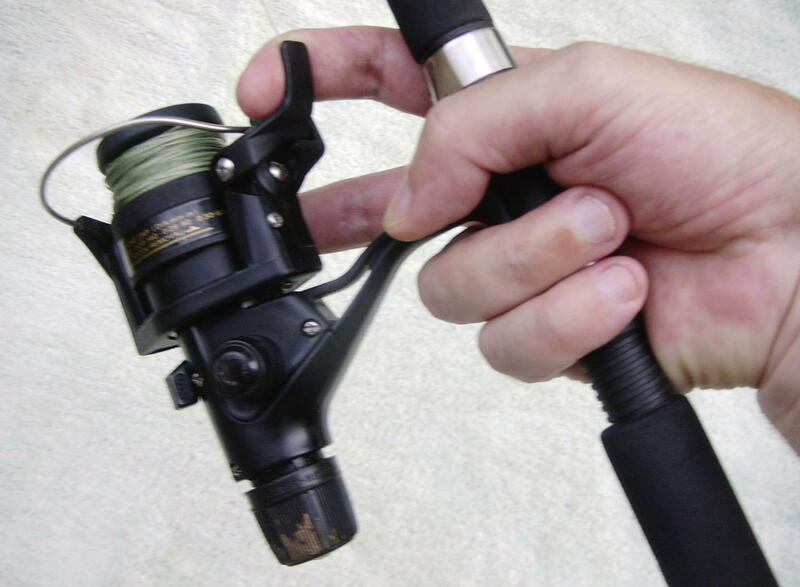 In fact, I recommend any combo you can find that has a trigger-like release (as in photo). Unfortunately I know of only two types: Shimano manufactured a great FX series, but the only place I have been able to find any stock for that or the similar AX and IX series is at Wal-Mart. If you see them, buy them. It also seems Cabelas carries them. The names to look for are Quick-Fire II (Shimano) or Autocast (Cabelas). You can expect to pay $20-50 for your first combo.